SnapCacklePop: Sam Smith leads BRIT Nominations and sells 5 million..! Sam Smith leads BRIT Nominations and sells 5 million..! 2014 saw Sam go from newcomer to international superstar having now collected an impressive array of prestigious music awards and nominations including six Grammy Nominations and leading the charge with five BRIT nominations. It was also recently announced he was the only artist in the world last year to reach over 1 million album sales in both the UK and the US. In just over 12 months Sam has gone from winning the BRITS Critics' Choice award and topping the BBC Sound Poll to winning awards across the globe for his sensational debut album. After winning all four awards he was nominated for at the 2014 MOBOs, Best New Act at the Q Awards and Favourite Male Rock/Pop at the American Music Awards, Sam now enters the 2015 season with an incredible six Grammy Nominations, five BRIT Nominations – the most at this year's awards - as well as being selected to perform at the prestigious UK music this February. Sam's Grammy nominations make him the first male artist in 34 years – and the first U.K. male artist ever – to receive nominations in the "big four" GRAMMY Awards® categories following the release of a debut album. In The Lonely Hour was nominated for Album Of The Year while his 4x multi-Platinum single Stay With Me was nominated for Record and Song Of The Year as well as receiving a nod for Best New Artist. These four categories constitute the General Field of the GRAMMY nominations. In addition, he was nominated for Best Pop Vocal Album and Best Pop Solo Performance for Stay With Me, bringing his total nominations to six. In just a year from being awarded the BRITs Critics Choice in 2014 he leads the pack as we move into this year's BRIT Awards with five nominations under his belt for Best Male, Best Album, Best Song, Best Newcomer and Best Video. 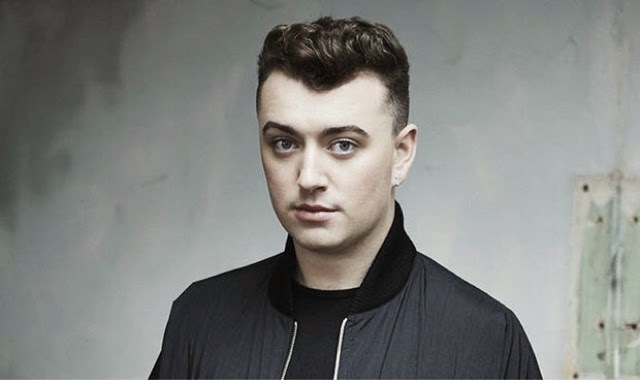 Sam's simultaneous success in the UK and US have made him one of the most exciting new artists of a generation with a No.1 album in the UK and No.2 album on the Billboard 200 – making chart history in the U.S. with In The Lonely Hour, which sold more copies in its first week of release than any other U.K. male artist debut in the 23-year history of SoundScan. We love you Mr Smith and picked you from the start. Congrats on the massive nominations and you never know you may even take out a few SnapCacklePop Music Awards too..!